AKA...Cedar Grove.... Perfect lot ready to be built on in the sought after Garnet Valley School District. Horses are permitted. Owner and agents are licensed Realtors. Serene Paradise. Close to all neighborhoods to have playmates for after school; yet your own domain. Stream on property to fish & acres of property to view nature at it's best. It was to be sold as 3 acre parcel & the remainder purchased as private open space by Township. The Township changed their mind & so it is being sold as 1 parcel. None Available is a subdivision within the city of Thornton, Pennsylvania. There are currently 1 Homes for Sale within None Available, with asking prices ranging from $650,000 to $650,000. The average list price per square foot of the available inventory in None Available is $0, which is the Thornton average of $4. The Average Sales price of all sold real estate in this subdivision for the past year is $170,000. Recent comparable homes have been selling for 95.74% of their asking price. Waterfront homes represent 0.00% of the available None Available inventory. The total number of households in the zip code of None Available is 841, with an average household size for of 3.18 people. The total number of renter households within the zip code of 19373 is 43, which means that 94.89% of households in this zipcode are owner occupant households. 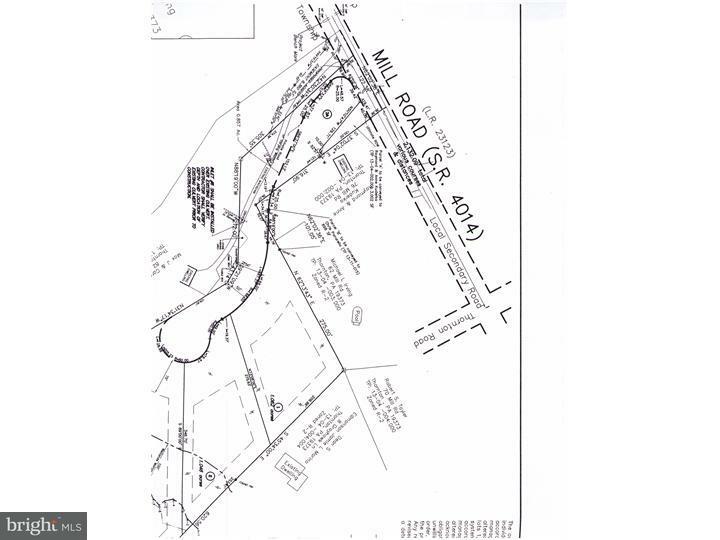 MILL ROAD , Thornton PA 19373 is a Land, with 0 bedrooms which is for sale, it has 0 sqft, 0 sized lot, and 0 parking. A comparable Land, has 0 bedrooms and 0 baths, it was built in and is located at MILL ROAD THORNTON PA 19373 and for sale by its owner at $ 650,000. This home is located in the city of THORNTON , in zip code 19373, this DELAWARE County Land, it is in the NONE AVAILABLE Subdivision, NONE AVAILABLE and THORNBURY are nearby neighborhoods.